DePuy hip replacement metal on metal claims have become more prevalent in recent years, after two of the products made by the manufacturer, DePuy, were recalled due to faults. If you have had a DePuy hip replacement you may have received a letter from the manufacturer, explaining the issues involved. In some cases, you may not have received a letter but may still be experiencing pain and discomfort. If you believe that you have suffered because of a DePuy hip replacement, you could have a valid compensation claim. At First Personal Injury, our solicitors are experienced in dealing with this kind of claim and are on-hand to assist you. For confidential, no win no fee advice, get in touch with our team on 0800 808 9740 or contact us online. When they first came onto the market in the early 2000s, DePuy hip replacement products were the set to significantly improve mobility, for thousands of patients. DePuy targeted younger people who required hip replacements. The product aimed to reduce the risk of dislocation, be more durable and last longer than its predecessors. Issues arose when it was discovered that debris from the metal was shedding into the tissues and muscles of patients. This was causing reactions and serious medical problems for some individuals. The manufacturers issued a product recall on both products in August 2010. It is believed there were around 10,000 patients affected in the UK who had the product fitted between 2003 and 2010. If you have experienced pain and suffering as a result of your DePuy hip replacement, you could be entitled to make a defective medical product compensation claim. If you have received a letter from DePuy with an explanation of the product you have had fitted, it is advisable to speak to a personal injury lawyer who can explain your options to you. If you do not have a letter, it is still worth speaking to a solicitor about your circumstances. DePuy claims are considered a form of defective medical product claims, along with corneal implants claims and silicone breast implants claims. How Much Compensation for a DePuy Hip Replacement Claim? The amount of compensation you will receive for a DePuy claim will depend largely on the level of pain and suffering you have experienced. The greater the pain and discomfort, the more compensation you are likely to receive. For example, if you have had to go through revision surgery then the psychological impact of having to wait for test results and any loss of earnings while in recuperation will be considered. If your condition has left you with a permanent disability, the cost of mobility equipment and care will also be considered when calculating your claim. The more care and equipment required, the greater the level of compensation you will receive. These expenses are known as special damages and also include travel expenses you have paid for in relation to your injury, medical treatment you have paid for and any loss of earnings you have experienced through having time off work. If you have had problems following a hip replacement made by a different manufacturer, you may still have a valid claim. It is advisable to seek help from a defective medical products solicitor to advise you of your options. 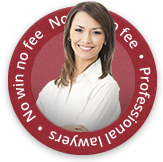 Our no win, no fee solicitors at First Personal Injury have decades of experience in the field of defective product claims. If you would like to know more about starting your claim, please call our national accident helpline number or complete one of our online claim forms.